Sunday morning. Demos! Minis! Art? Kevin and I do the morning, even earlier, to pack our stuff in the car. We head to the Exhibit Hall. Again, we wait outside a door, some of the first people there at 8 am. We talked and caught up on each other’s lives. One of the best parts of GenCon for me was definitely getting to spend time with my friends. 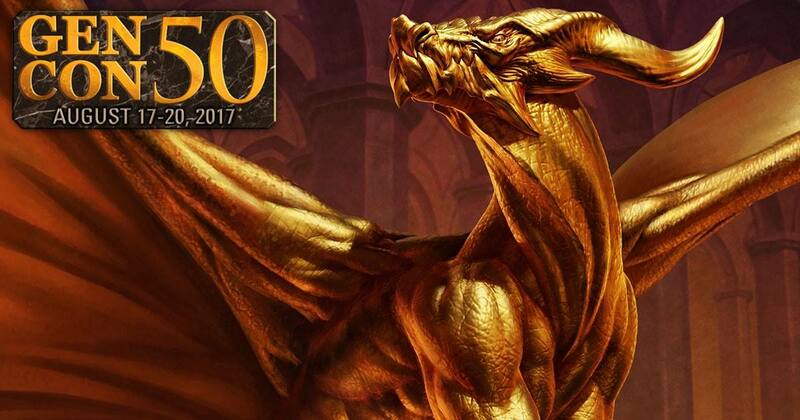 With so many reviews of new games, it is sometimes easy to forget how much of GenCon is just hanging out with people who share our interests. A simple but fantastic little game for any collection. Don’t carry it all around the Exhibit Hall. Marbles are heavy. The time flew by. The doors opened and the CMON booth was immediately entered. 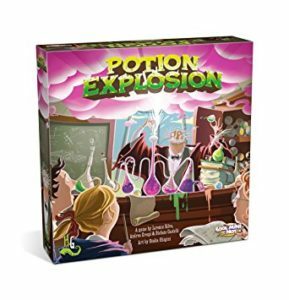 Potion Explosion has now entered my collection – a great pickup for any game collection. I moved over with my new two tickets. “Two tickets, sir. Mystic Troll sir. Thank you sir.” I was not kidding about my utilitarianism. Then, it was off into wilds of the Exhibit Hall with Kevin, who had used his CMON tickets to acquire his own Fenrir to paint. Fun and light. I don’t think I have room for any more games like this in my collection. We demoed a number of games. First off was Campy Creatures, a title from the relative newcomer Keymaster Games. The game features a heavy bluffing element with hand management. Everyone has the same hand of nine monster cards number 0 through 8. Whoever wins the trick, chooses which of the campers their monsters eat first. The game is fun, but fairly straightforward. It is simple and quick, but that filler in my collection will soon be filled with another game. A new take on an old system. A refreshing take on the same system. 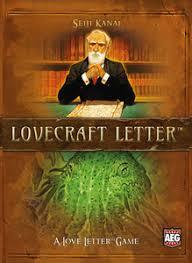 That game is Lovecraft Letter from AEG. Lovecraft Letter adds a breath of fresh air into the basic Love Letter system. It adds a completely new set of cards to the game that play with an insanity mechanic. You can play cards for their powerful insanity effects, but it increases the chance you will randomly lose from flipping over the top card or cards of the main deck. It was weird but cool. As a person who introduced many people to the hobby, I have played hundreds of games of Love Letter. This brings new life into the game. The $30 price point at the Con was a bit steep for me, but whenever it drops I will surely pick up a copy. An abstract game that I will never own. 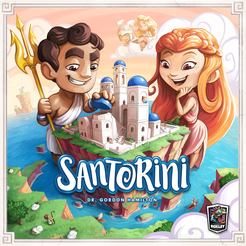 We had a brief demo of Santorini, the 2016 hit out of Roxley. It is an abstract strategy game where you move one of two workers to build or climb buildings. You win if you reach the third level. Your opponent can build in front of you to block you from winning or to trap your workers, so you have to be careful! The game is recommended as a two player game. While I thought it looked fun, it did not pass the “will my fiancee ever play this with me?” test that all two-player games must pass. I will just look at it wistfully in my friends’ collections. Tell me when the dragon expansion comes out. 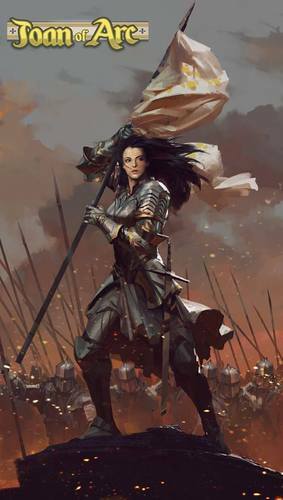 We saw prototypes for Joan of Arc, with a detailed large dragon dwarfing the 15mm figures from the main game. The game developer was nearby to make the hard sell. The natural inclination was to ask about the giant highly detailed dragon featured prominently in the glass case. However, the dragon is not part of the base game on Kickstarter. The other figures and basic game play explanation was…not convincing. 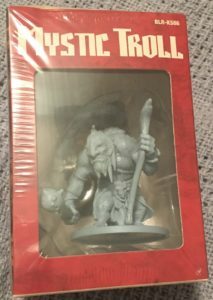 After the classic bait-and-switch routine of a Kickstarter miniatures game that was not going to include the most interesting figure, we moved on quickly. We also saw the Batman miniatures game near that display. Again, the figures look cool, but I saw no game play. 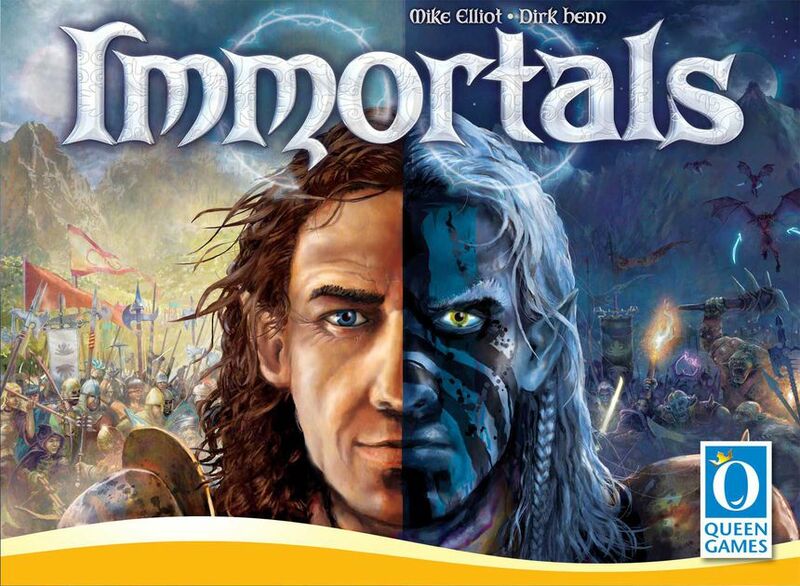 At this point, it would take a momentous event to persuade me to invest in one these games. Too popular for its own good. 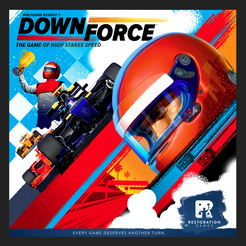 We walked down the hall towards Restoration Games and could not even see the demo of Downforce. It was popular to say the least. I hope to try this one out sometime soon. If crowds of people are equivalent to how good a game is, Downforce is surely high quality. 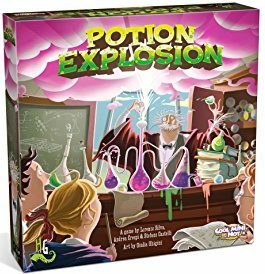 I shudder imagining teaching this game. 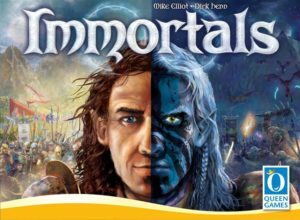 We also saw Immortals at Queen Games. The game looked like a fairly intense Euro, with the players currently demoing it had looks of impatience on their faces. The “complexity creep” present in one set of turns in the game instantly told me I would never get this game to table and I quickly lost interest. Another victim of my particular position in the board game world. If you are into long drawn out Euros, this may pique your interest. Another dexterity game best paired with drinks. 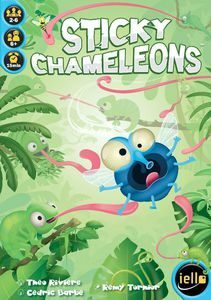 On the other side of the spectrum, we encountered Sticky Chameleons at the Iello booth. No, not really. You are each given a rubber chameleon tongue. You then roll two dice. One has a bug type, one has a color. You then try to slap your (fake) tongue on the correct cardboard bug and pick it. It is a silly fun dexterity game that would be great with kids that have good eye hand coordination. Or adults drinking beverages that have lost their coordination. Whichever is closer to your particular situation. Not a purchase for myself, but the game likely has mass market or party game appeal. The tongues seemed to lose their stickiness over time, which could be a real detriment. Not until Winds of Winter is in my cold undead hands. 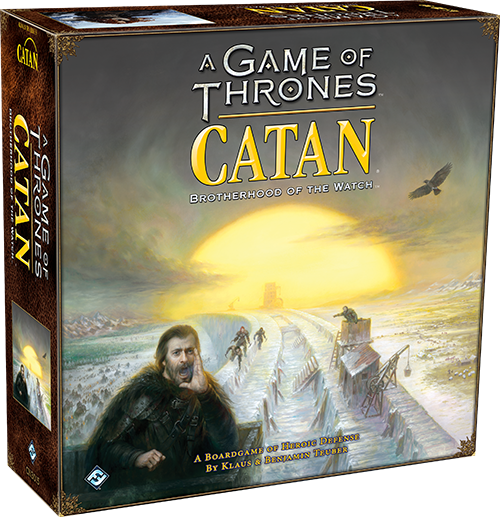 I briefly saw Game of Thrones Catan. The added element of the Wall was interesting, but I have a referendum on buying anything GoT until the Winds of Winter arrives in stores. You hear me George!? 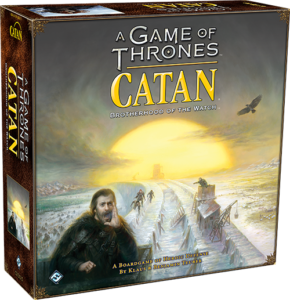 I had originally dismissed Game of Thrones Catan, but I do think it could add something unique to a license that seems to produce a new expansion every year. Meaning Catan of course. Not the books. Just so that’s clear. With about half my list accounted for, my compatriots wanted to leave. I had one last task. I needed to briefly look at masquerade ideas for an upcoming ball we are attending. I quickly began looking through the costuming booths for masquerade ball ideas. All was lost until I found the booth of Lisa Sell, who had this behind her booth of masquerade masks. This is art. And good art. Right? 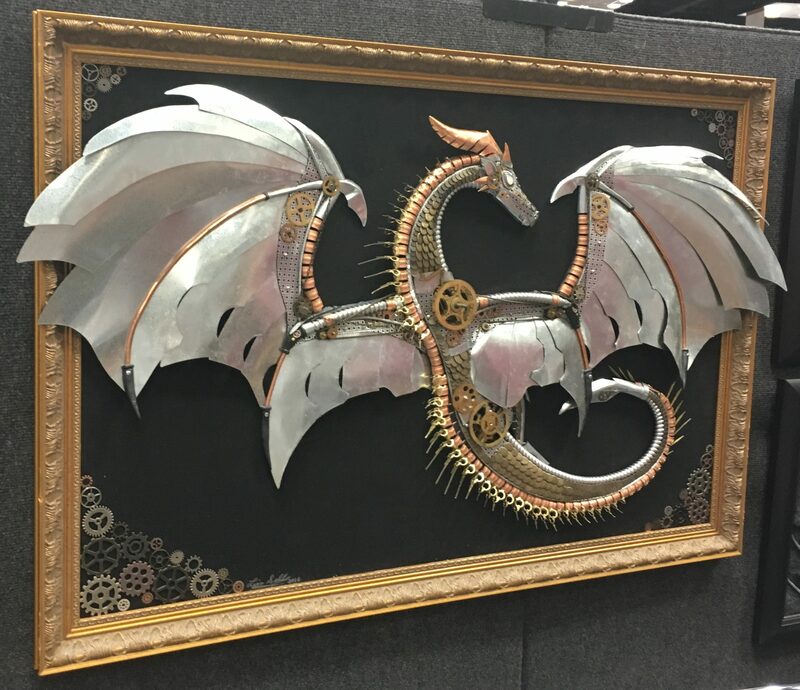 I looked at the framed clockwork dragon piece. I knew it was cool. I knew it was good. I knew I liked it. I like it because I like dragons and mashups. As I explained my enjoyment of the piece, Kevin looked so hopeful. He seemed so sad when it was just my general obsession with dragons that lead me to like the piece so much. One day I may make progress on the art front, but not that day. Three of these people are over 6 feet tall. Think about that for a moment. We headed out after that. Five of us packed in my little Sentra, games and all. 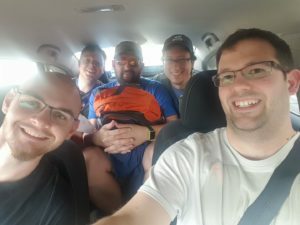 We made it back safe and sound, after 9 hours in the most cramped vehicle I have ever seen. I played games, won tournaments, acquired my KickStarter exclusives, bought the Harry Potter game expansion, and had a great time with friends. GenCon 2017 was great for me. My haul was pretty good from this year, with almost every goal accomplished. 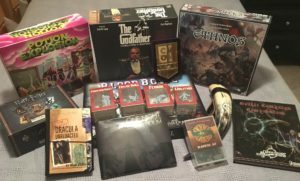 My GenCon50 haul, approximately half of which was from winning games or going to shows. Not bad. Not bad at all. Until next time GenCon, until next time. 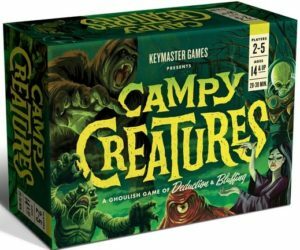 TL;DR: Campy Creatures, Lovecraft Letter, and Sticky Chameleons were good. Santorini, Joan of Arc, Batman, Immortals, art, and cramped Sentras are not for me.